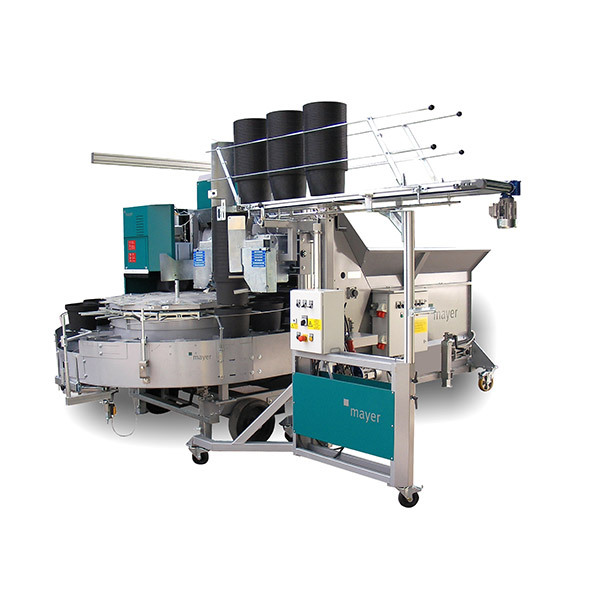 The Mayer TM 2800 Potting Machine is great for processing larger-sized containers such as those used for large root balls. The TM-2800’s drilling system is designed for soil drills with a diameter of up to 26 cm (larger sizes available on request). To ensure the gentle handling of different bushes, shrubs, roses, bare rooted plants and root balls, extra substrate can be added by hand. For this purpose there is additional space on the height adjustable central tray, located on the turntable, which is in direct reach of the machine operator. 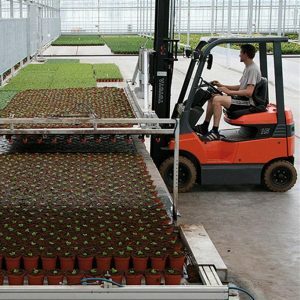 As an added value option, substrate can be fed via a conveyor belt with adjustable conveying speeds. 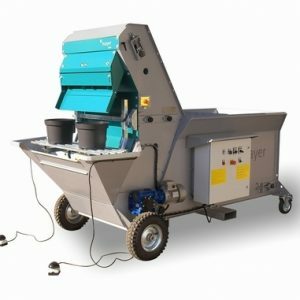 Accessories Fertilizer dispenser, pot dispenser with storage belt, pot dispenser for containers up to 40 cm Ø, soil conveyor for additional soil, extended elevator.